Two soldiers, Lance Corporals Musa Maidabra and Edwin George, serving at 122D30 Regiment in Maiduguri, Borno State, have been arrested for transporting the ransom that was paid for the release of the wife of the Central Bank Governor, Margaret Emefiele. Emefiele and three others were abducted along Benin-Agbor Road about two weeks ago and were released 24 hours later after the payment of undisclosed amount to their abductors. The two soldiers said they received N6.5m each as their share of the ransom estimated to be around N80m. 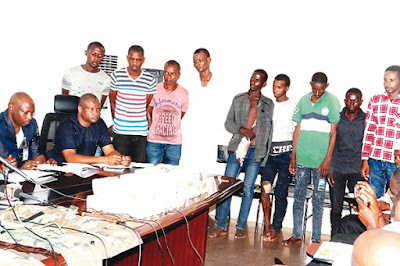 involvement in the kidnapping, said they were given the money for assisting the gang to transport the ransom to a hideout in Benin, the Edo State capital. Other suspects included a dismissed soldier, Ernest Uduefe, Mohammed Abubakar, Mohammed Musa, Mohammed Sule, Ibrahim Abdullahi, Aliyu Musa and Mohammed Yusuf. George corroborated his colleague, saying they provided security cover for transporting the ransom to a hideout in Benin. “I was not involved in the kidnap; the money they gave me was over N6m. I asked about the source of the money, but they didn’t tell me,” he said. The Force Public Relations Officer, Donald Awunah, said the police recovered N14,725,000, two Honda Accord cars, an Audi car, one AK 47 magazine and two cartridges from the gang. He stated that a Jeep, valued at N1.5m and N4m cash were recovered from Maidabra, while a Honda Accord, estimated at N1.1m, was recovered from George. Awunah explained that detectives recovered N7.7m from Musa out of his N10m share, adding that he sustained bullet wounds after a gun duel with the police while trying to escape from the forest where they had kept their victim. “Mohammed Sule confessed to have received N10m in cash as part of his share of the ransom paid and claimed a soldier and a gang leader escaped with the rest of the loot. Another suspect, Ibrahim Abdullahi, admitted to have received N10m in cash. On the payment of ransom, the police noted that it was sometime used as a bait or bargaining chip to save the lives of victims of crime. 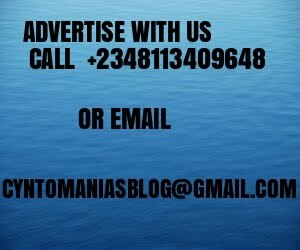 “It is absolutely important to mention that the police do not and will not encourage payment of ransom,” Awunah added.